Your Family Dentist Gives 5 Tips for Excellent Oral Health This Year! One of the areas you’re looking to make improvements in this year is your oral health. However, you’re not sure where to start. You want some simple steps to follow that will yield results. Thankfully, your family dentist weighs in to fulfill your request by listing 5 oral health tips that will make a positive impact this year! While most people are pretty consistent with brushing their teeth in the morning, many will fall short when it comes to performing a second session – especially before bed. If you’re one of these people, then committing to a nightly cleaning session will boost your dental health this year. When you sleep, your mouth becomes dry and may remain shut for extended periods of time. The combination of these factors and the warmth provided by your mouth, create the perfect environment for bacteria growth. By brushing before bed, though, you’ll decrease the number of bacteria present and limit their growth while you sleep. If you don’t currently floss, then you could be leaving up to 40% of your enamel covered with debris. This can spell disaster for your teeth and gum health over time. By flossing and brushing, you will create a healthier and more appealing smile. Are you a person who loves snack foods? If so, then by making some slight adjustments in what you consume, you can greatly improve your oral health. One helpful strategy is to replace foods that you would normally snack on with healthier options. For example, a craving for potato chips can be accommodated by eating pieces of baked kale that provide a similar, crunchy experience while being far less harmful to your teeth and gums. As mentioned earlier, one of the conditions favorable to bacteria growth is a dry environment. One way to prevent that from happening is to increase your water intake, which also helps to flush away debris after you’ve consumed a meal. When it comes to protecting your mouth, teeth and gums, your dentist is your best ally. Thus, you should commit to maintaining six-month visits for cleanings and checkups. 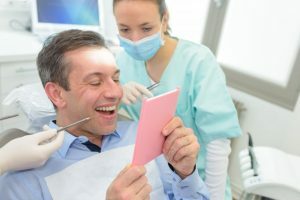 These appointments will also serve as excellent opportunities to expand your dental health IQ by allowing the opportunity to ask your dental hygienist and dentist any questions you may have. When you commit to better oral health in the new year, you are also taking a proactive step to improve and maintain your overall wellness since the two are greatly related. So to kick the year off strong, contact your dentist to schedule your first visit today! 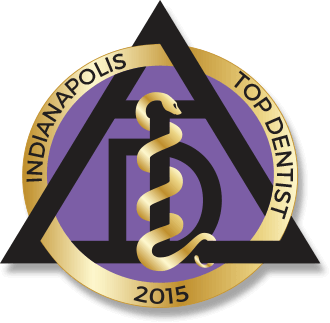 Dr. Marc M. Farthing is a graduate of the Indiana University School of Dentistry. Throughout his nearly 40-year career, he has maintained a commitment to provide his patients with only the finest in dental care, which is why he has sought continued education from the prestigious Dawson Academy. Dr. Farthing helps patients experience the life-changing benefits of achieving excellent oral health at Indianapolis Family Dentistry, and he can be reached for more information through his website. Comments Off on Your Family Dentist Gives 5 Tips for Excellent Oral Health This Year!